Business owners have a lot to keep track of, and your credit card transactions are no exception – there are fraud concerns, customer satisfaction issues, and processing costs to worry about. 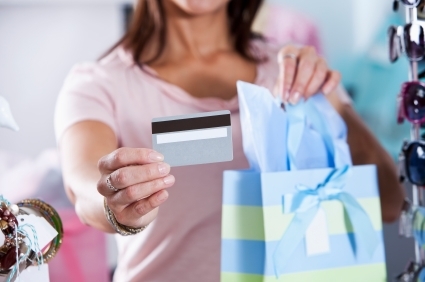 Understanding and using credit card pre-authorizations to your advantage just might be the best business move you’ve made all year. If you’re a business owner who accepts credit cards, you’ve likely heard the terms “authorization” and “capture” before, but how much do you know about the delay between them? Let’s talk some more about this very important step in the credit card process. As a nation, stress is kicking our butts. Anywhere from 75% to 90% of doctor visits are stress-related, and our busy workspaces and overpacked schedules are to blame. And yet, you can’t help but notice that easy-breezy coworker who thrives under stress. How do they do it? Better yet, how can you do it? There is nothing better than leading a company that you are passionate about. You have big dreams, and rightly so – there’s no one better equipped to change the world than a highly-motivated entrepreneur. But what, exactly, is it that your company sells? Ever since that time you woke up in the middle of the night with your life-changing idea, you haven’t been able to get it out of your mind. You know you can build a better mousetrap, so to speak. If this describes you, it’s time to make a plan to turn those dreams into reality. So You’ve Started a Company – Now What? Running a company is a ton of fun, especially when your sales are good and you have lots of happy customers. Unfortunately, you can run into a snag if you do not handle what some refer to as “admin stuff” and others call necessary evils. How much do you really know about that little piece of plastic you pull out to pay for everything from candy bars to cars? Where does your card data go, who has access to it, and how does the whole thing even work? Let’s take a look at the process from start to finish.